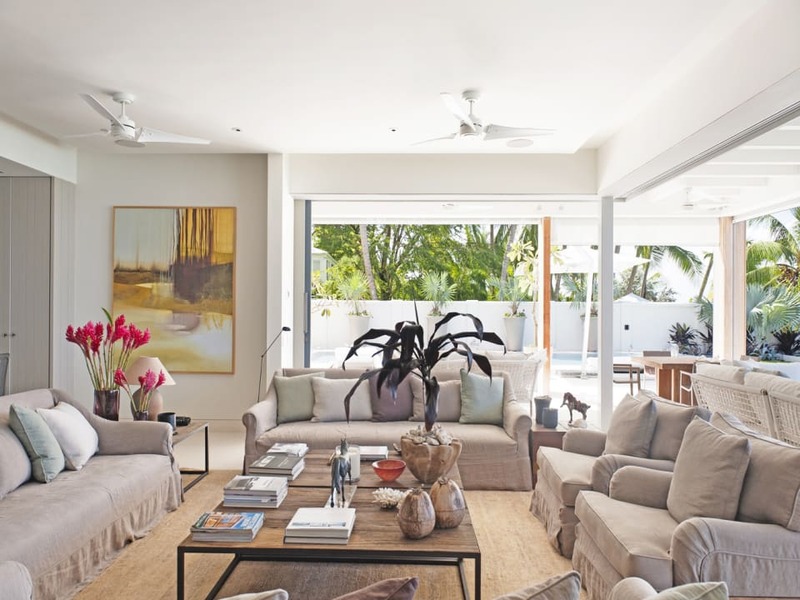 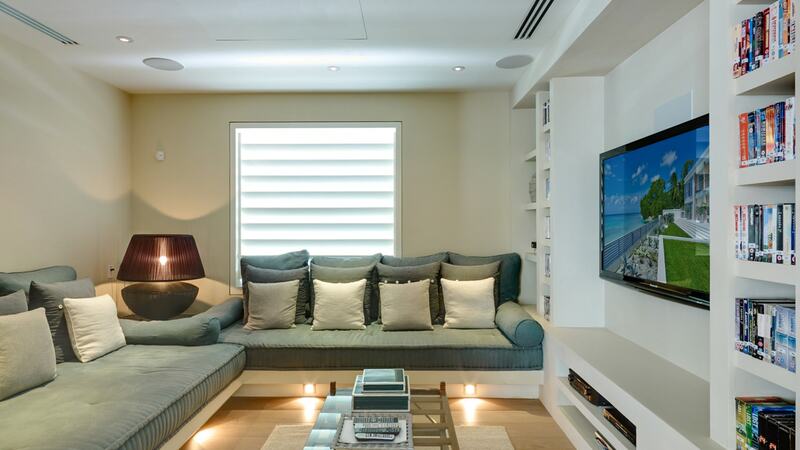 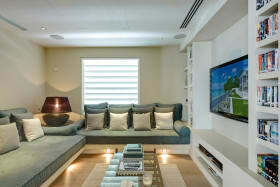 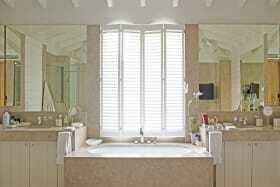 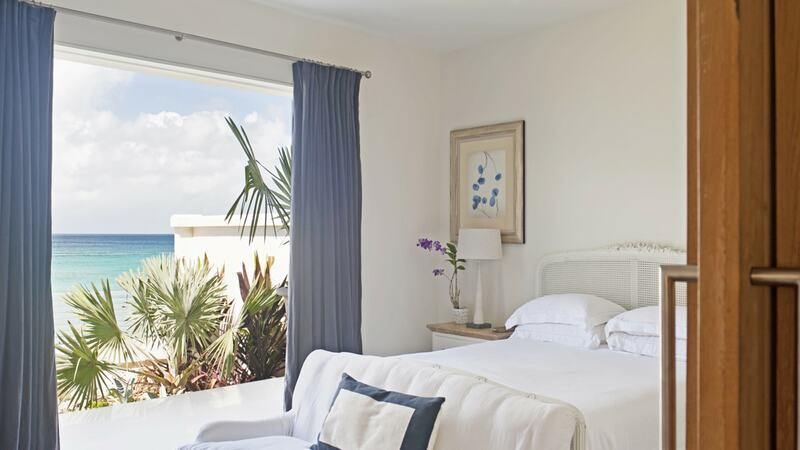 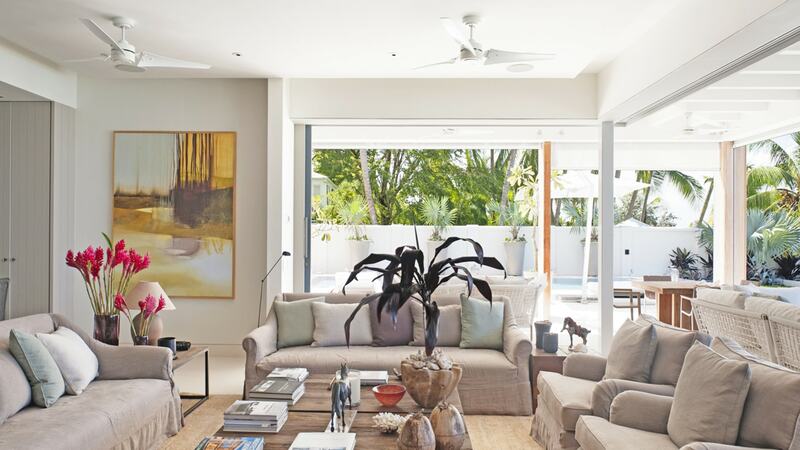 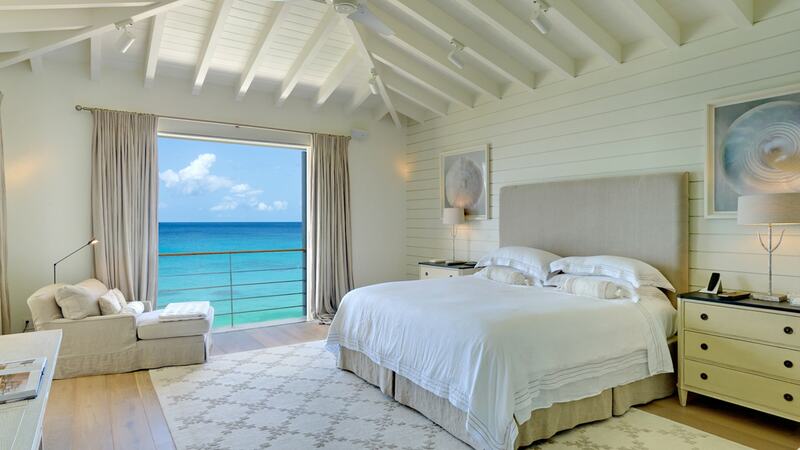 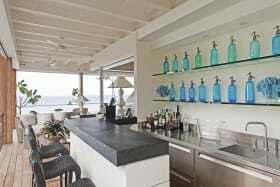 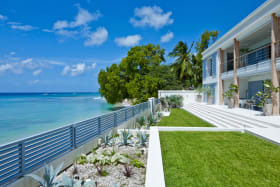 Spacious, modern villa on beautifully landscaped grounds just steps from the water's edge. 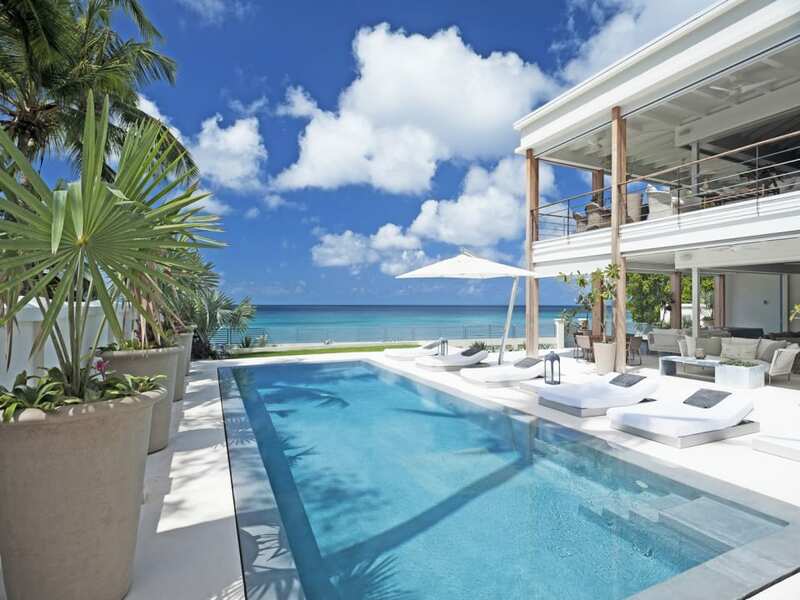 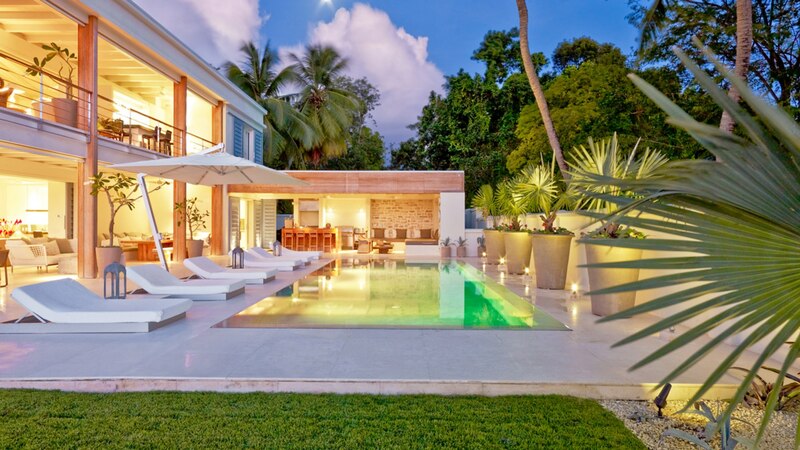 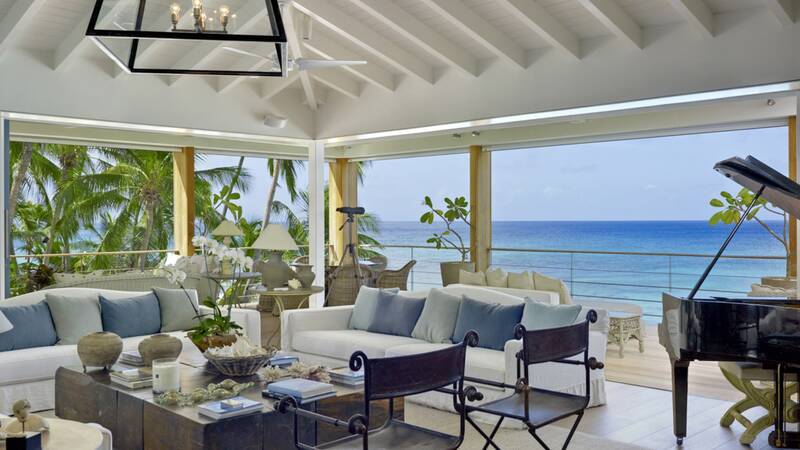 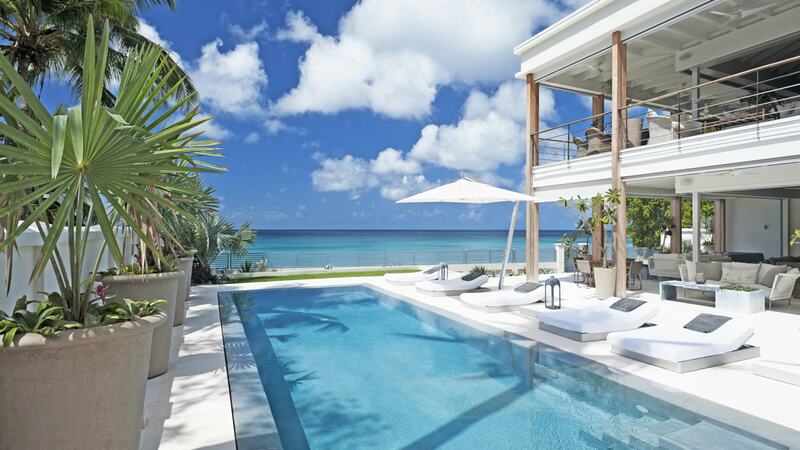 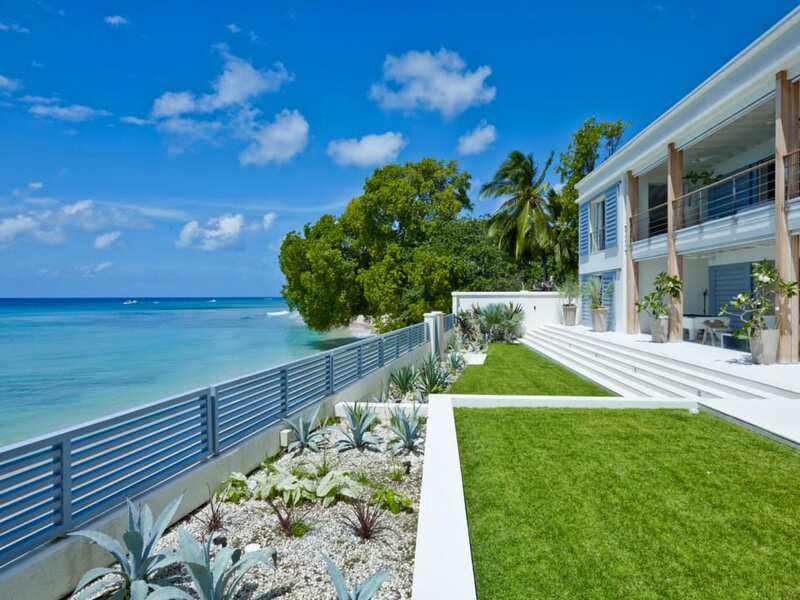 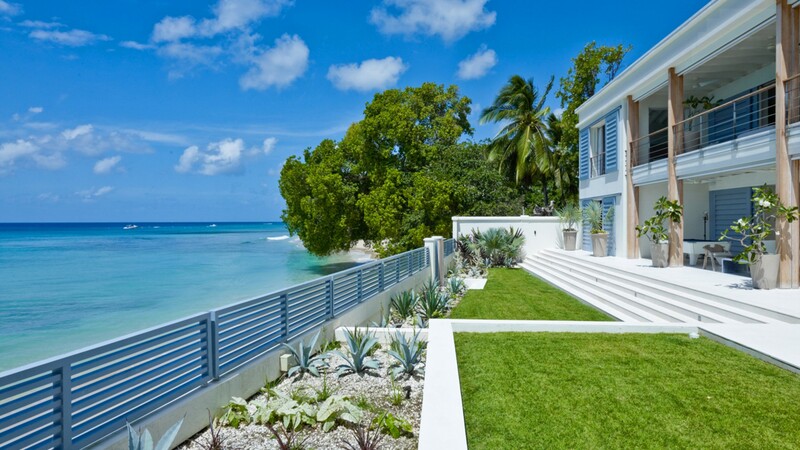 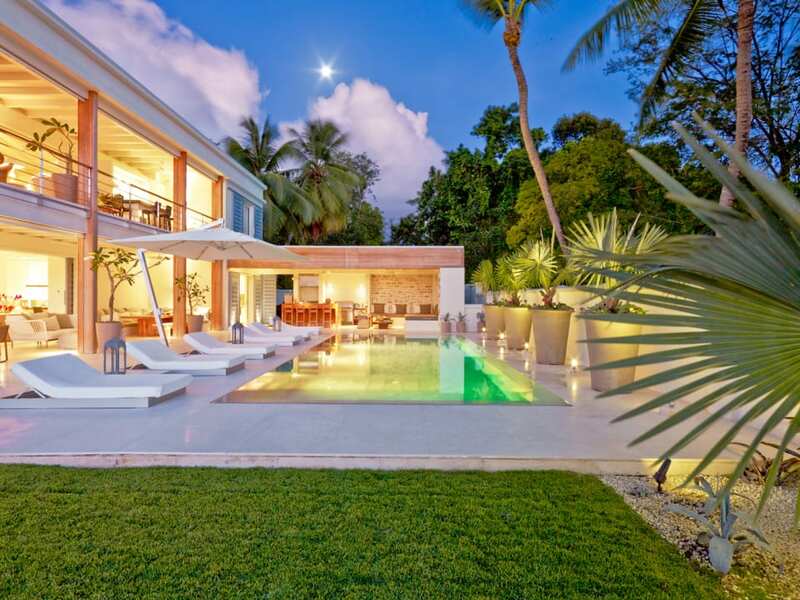 Located on the prestigious West Coast of Barbados, this spacious, architecturally-designed villa sits on approximately 21,991 sq.ft. 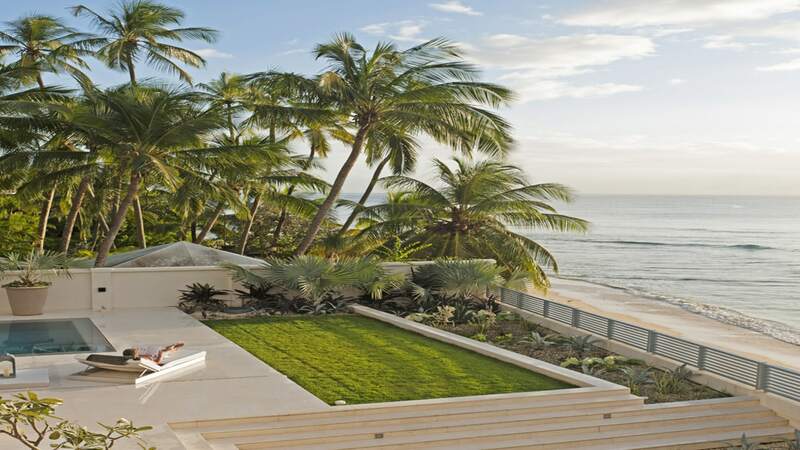 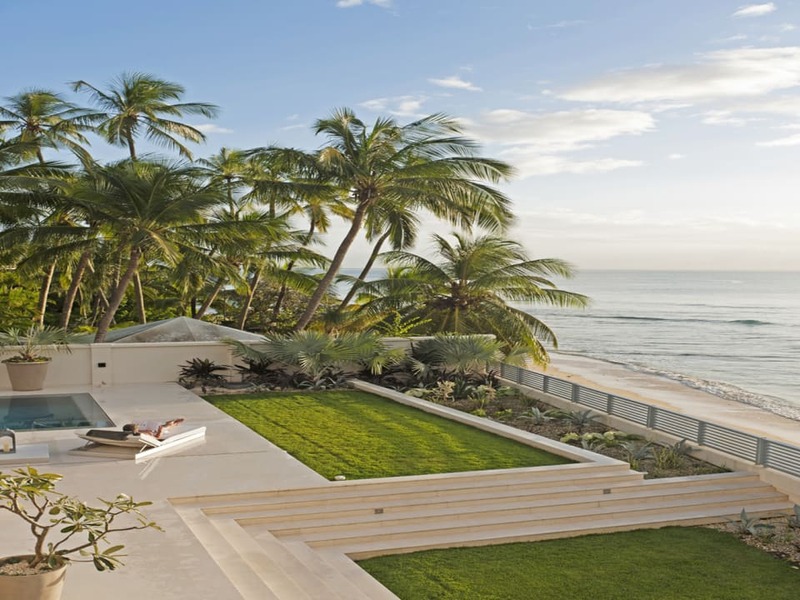 of beautifully landscaped grounds just steps from the water's edge. 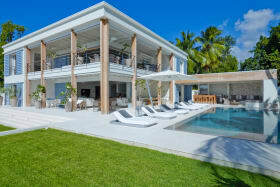 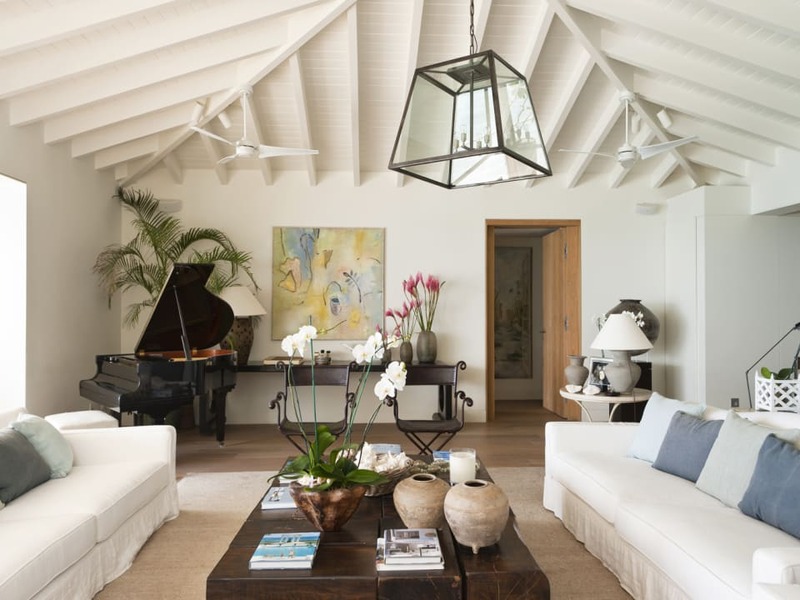 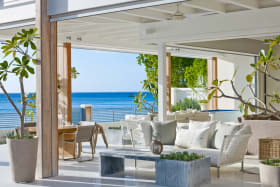 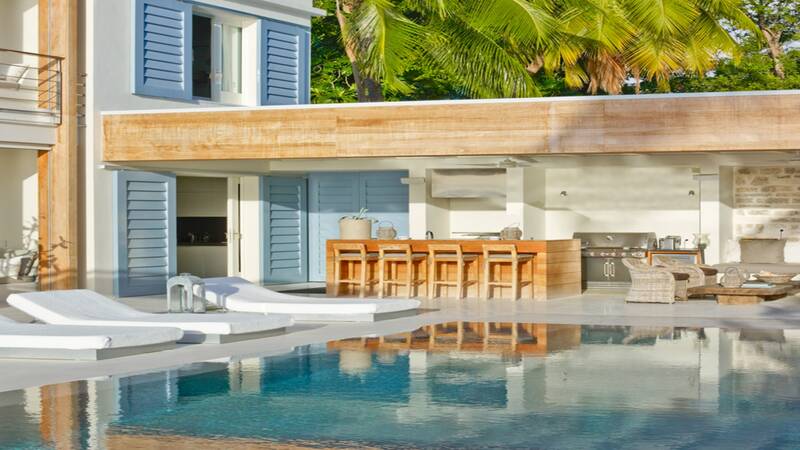 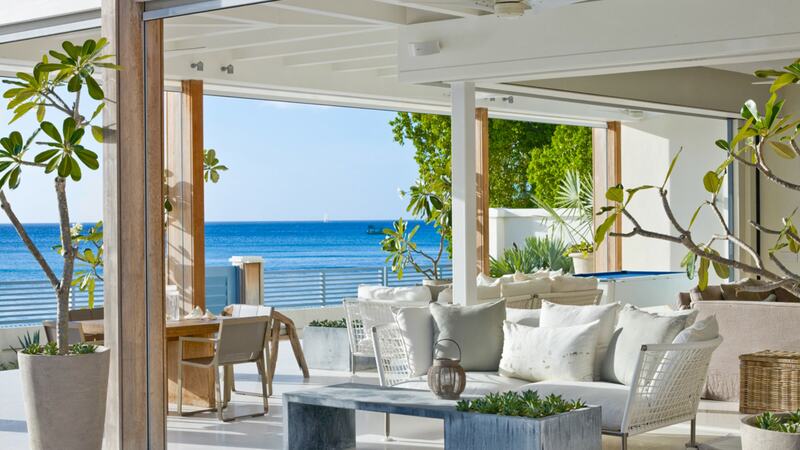 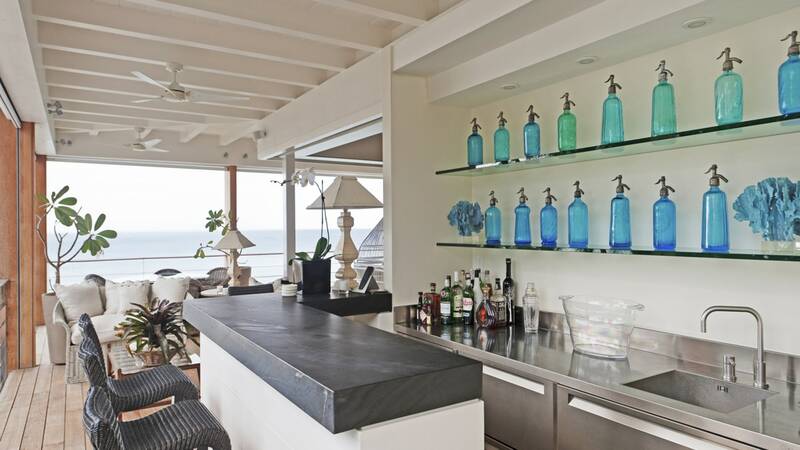 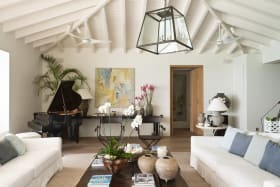 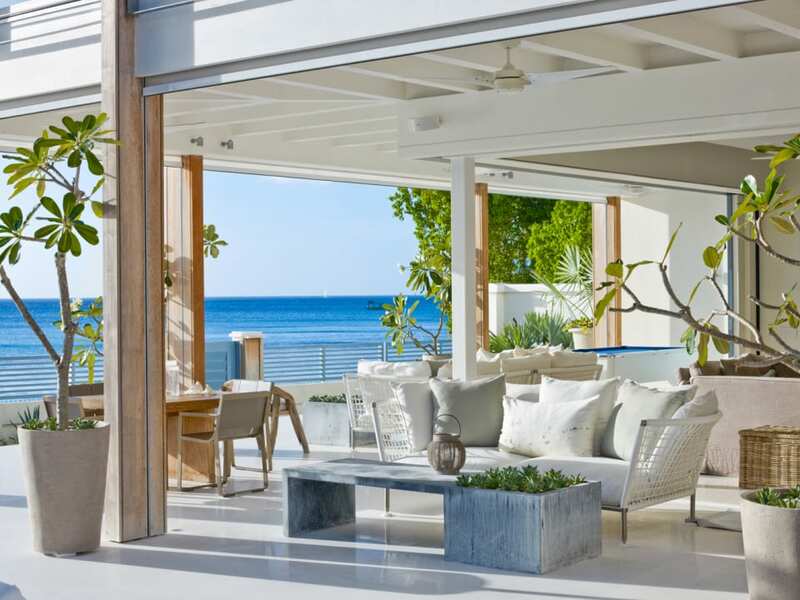 Recently renovated and fully upgraded, this contemporary-style, open-plan villa is beautifully appointed with high-end furnishings and finishes throughout. 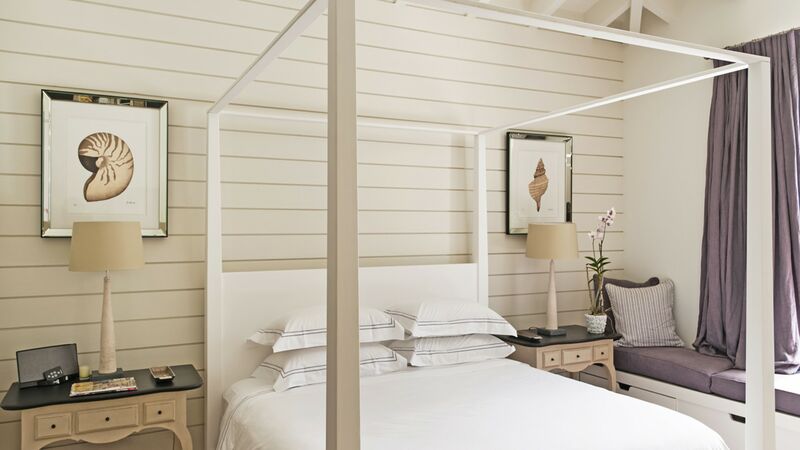 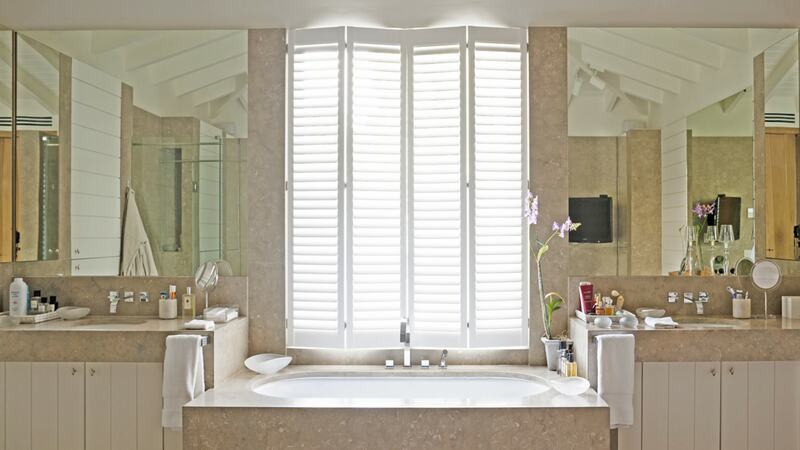 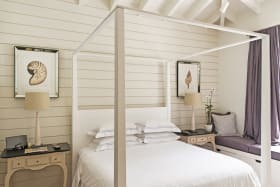 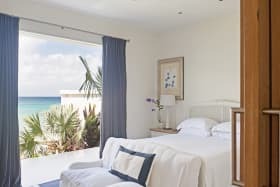 There are five luxurious en suite bedrooms featuring air conditioning, security safes, flat screen televisions, DVD players and iPod docking stations. 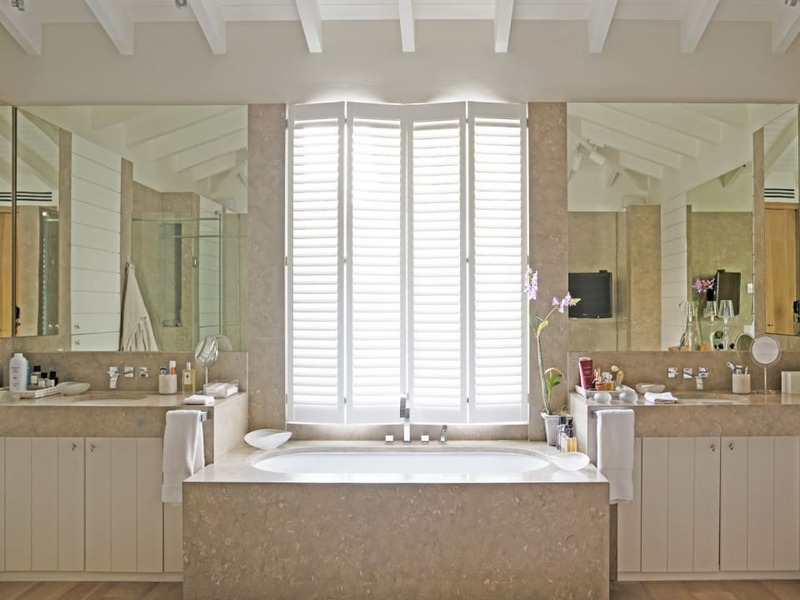 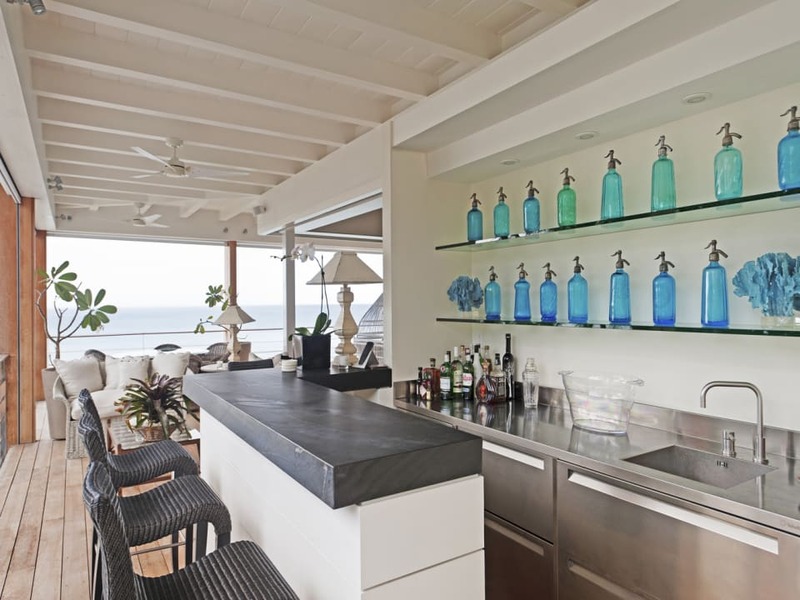 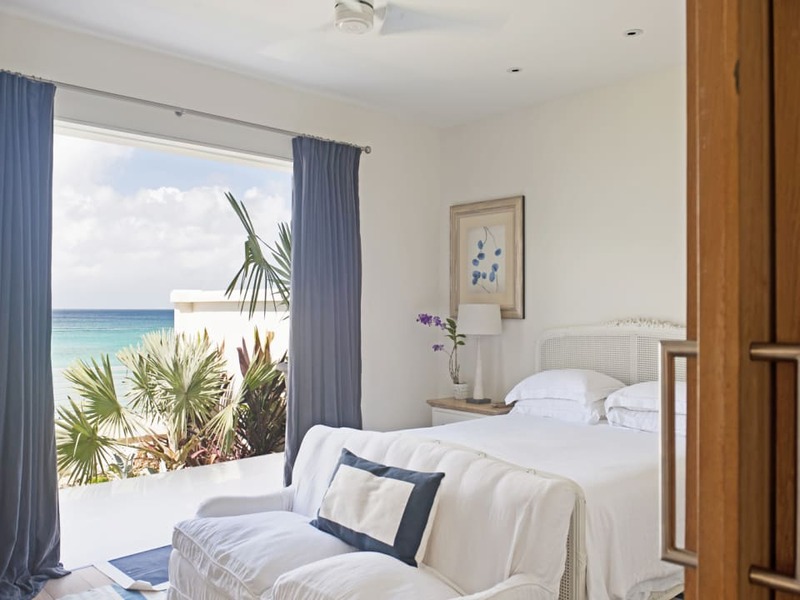 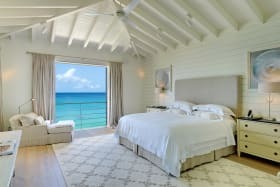 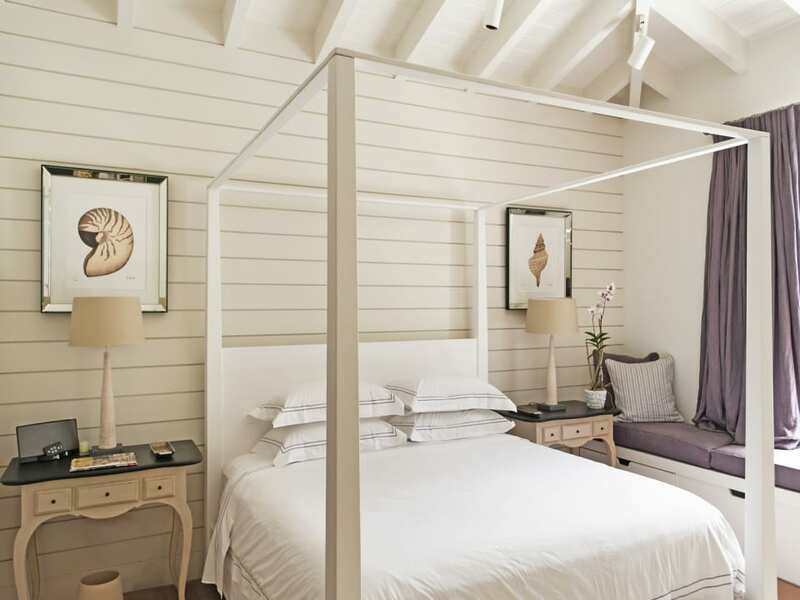 Three of these are located on the ground floor while the magnificent master suite, an additional guest suite, and an intimate living area opening on to a wrap-around balcony, are located on the upper level where stunning, uninterrupted views of the Caribbean Sea can be enjoyed. 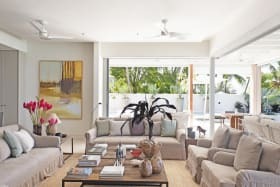 The spacious reception rooms, formal and informal dining and living areas, well-equipped media room and state-of-the-art kitchen are positioned on the ground floor. 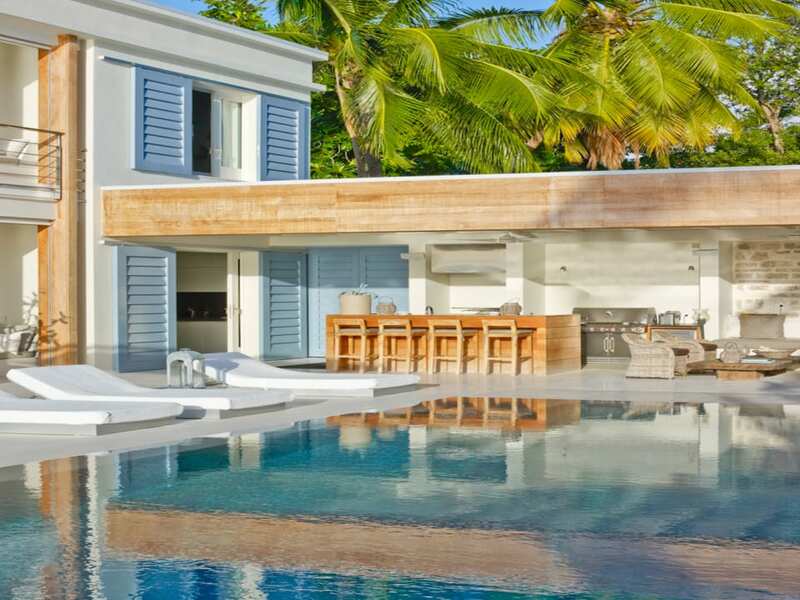 The ample living space with bar extends out onto the covered terraces and sundeck surrounding the stylish 45' infinity-edge swimming pool. 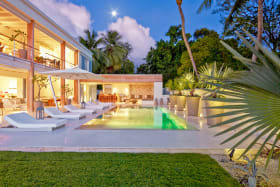 Beautifully landscaped grounds, manicured lawns, and exotic tropical foliage provide privacy to this elegant retreat. 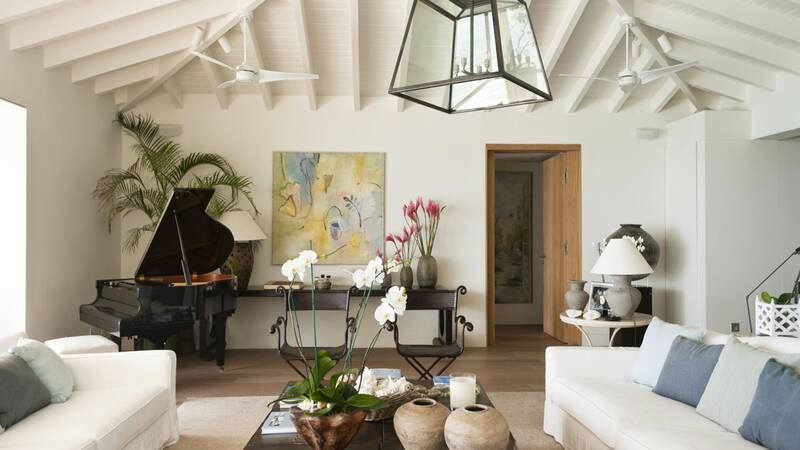 The Dream is ideally located within easy reach of fine dining restaurants and trendy boutiques, world-class duty-free shopping, and championship golf courses.